Have you been hunting for a fun tailgate accessory? Our trademark camo can insulator is made with thick, high quality neoprene (wetsuit rubber material) and features a glued-in bottom for added support. This holder fits most cans and bottles. 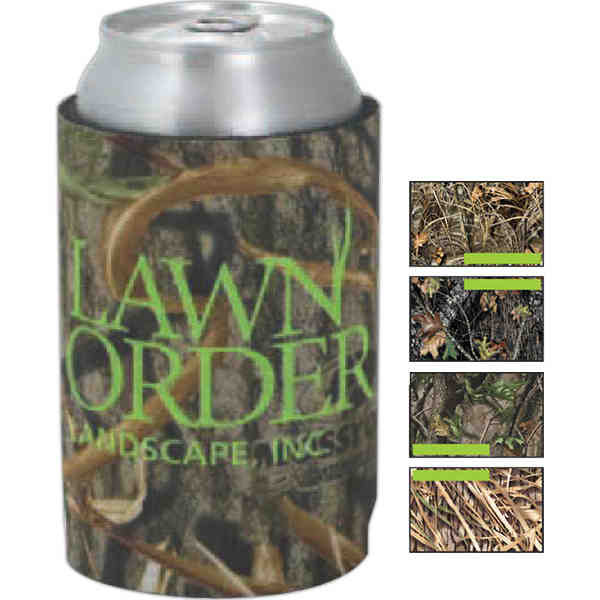 A great promotional giveaway, have your company name and logo imprinted on this camo item and hand them out at your upcoming event! Please specify camo pattern when ordering. Imprint Size:3.5" x 3.5", 3" x 3", 7.85" x 3.75"
Ship Weight:5 lbs, Case Pack/ Dimensions/ Weight: 50 ct./15" x 15" x 10"/6 lbs.